It is 26 degrees outside. 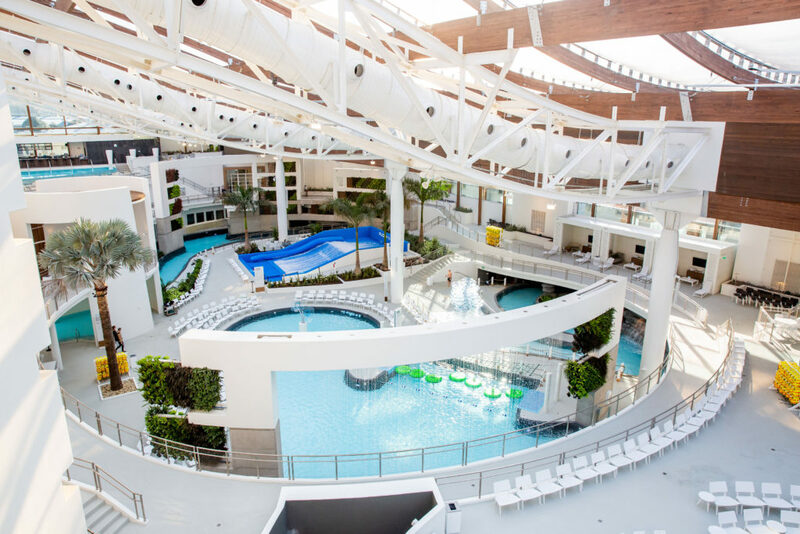 A frigid wind is blowing in from Canada, but I’m floating along the lazy river in SoundWaves, the first upscale indoor/outdoor resort water attraction in the nation. 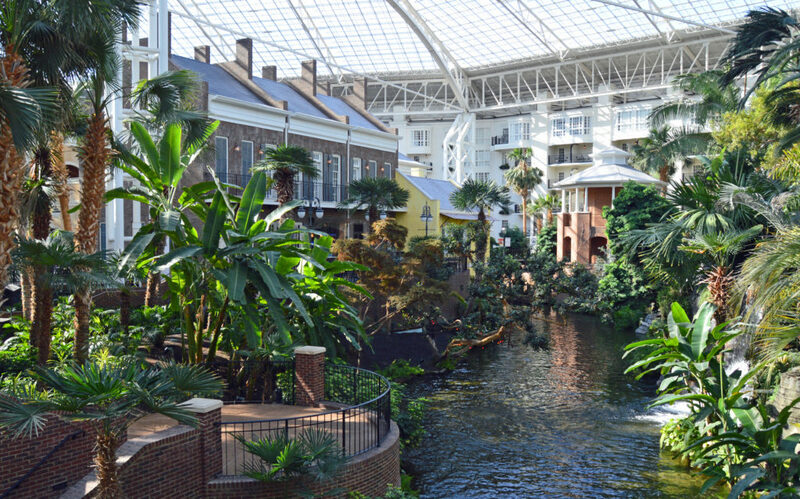 Gaylord Opryland Resort has always offered its guests lots to do from the impressive atriums filled with plants, flowers and a meandering indoor “river” to live music, dining, shopping and full-service spa. Add to this its close proximity to the Grand Ole Opry, an 18-hole golf course and all the excitement of Music City. 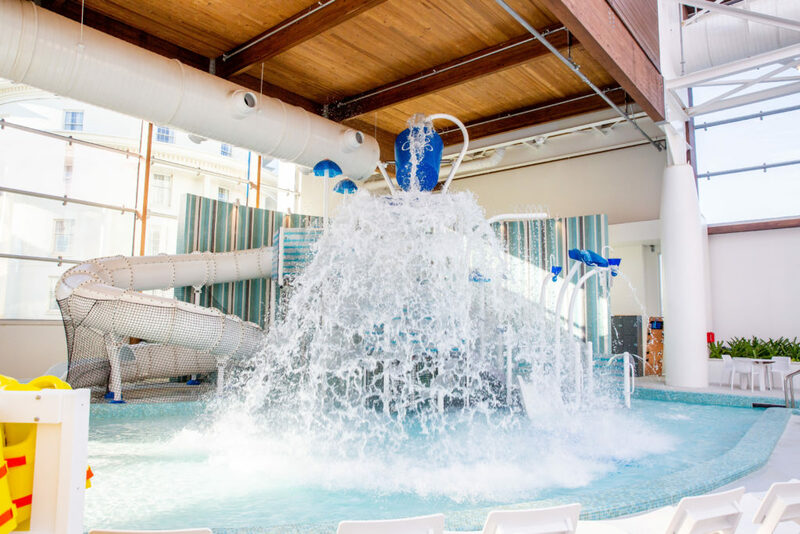 Now guests can experience year-round indoor water attractions. When I walk into SoundWaves, it is apparent it is unlike anything else I have seen or experienced. Before me are areas divided by age group and separated by living walls of flowers and colorful plants. Overhead a special roof keeps the temperature at a constant 84 degrees and permits natural light, giving guests the opportunity to sunbathe indoors year-round. I watch as a young man helps a child on the Crowd Surfer FlowRider where two people can surf at once. As soon as the boy masters the surf board as he lies on his stomach, a big grin crosses his face and his parents cheer from the sidelines. I’m not a thrill seeker; no surfing for me. But it’s fun to watch others dare the waves in the indoor surf pool. If you are, you are in for a great time! Stage Dive Body Slides offers two slides—one with lights and one you experience in the dark. On Rapid Remix, four or five people ride a massive raft through a breathtaking series of vortex loops. And Record Launch offers an intense centrifugal experience. Next enjoy Up Tempo Rapids River where you float along the rapids without a tube. And my favorite: Down Tempo Lazy River.It’s so relaxing to float down the river though rock formations, into caves and past waterfalls all created to resemble the Tennessee landscape. 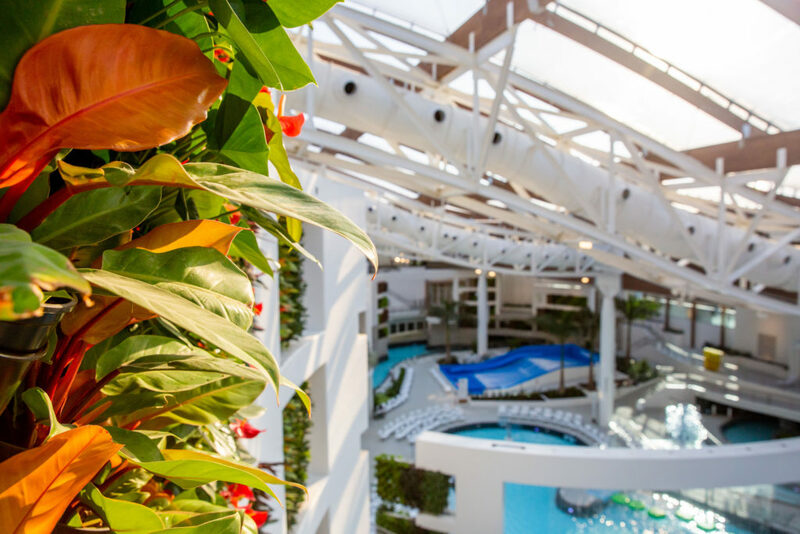 In the center of SoundWaves is Groovin’ Lagoon Activity Pool. This pool features a rock wall, lily pad walk, and basketball hoop with a 30-foot water curtain. There are toddler and older children areas as well. 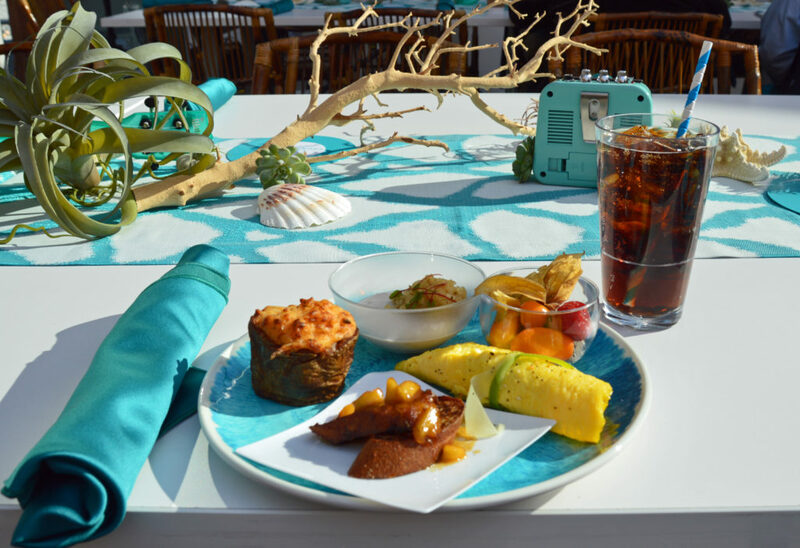 Elevated dining experiences with local offerings and signature cocktails, along with kid friendly fare, ensure each palate is satisfied. On the third floor is an adult only restaurant, Status Cymbal, bar and pool. There is also the family restaurant Decibels on the second floor. 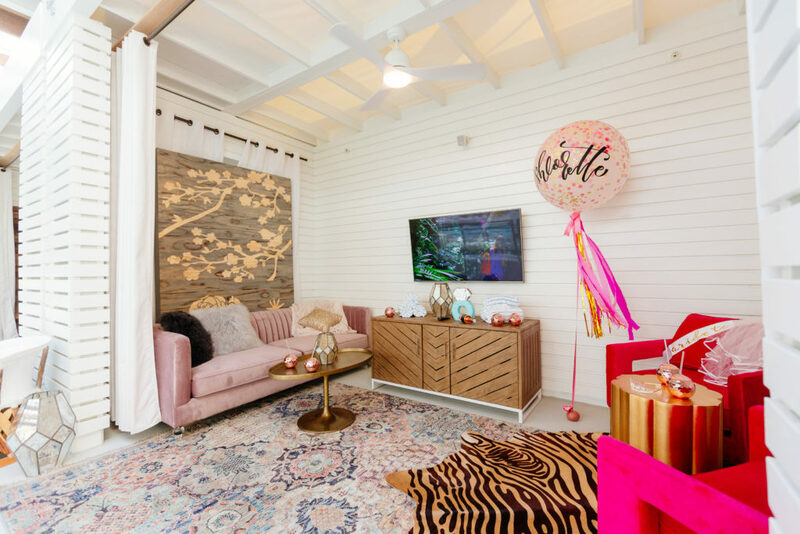 Private cabana rentals are available with a carefully selected capacity level to provide an exclusive and relaxing experience for all guests. An outdoor section will open this summer, completing the $90 million investment. 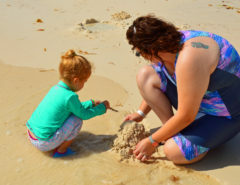 It will also offer recreation zones for adults, young children and families. When completed, SoundWaves will have a footprint of four acres. 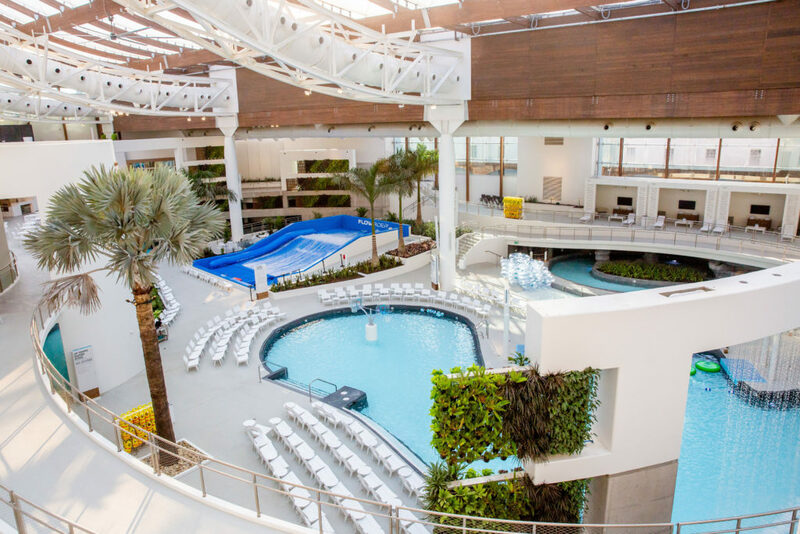 Outdoor features include a multi-slide tower, 315,000-gallon wave pool with a giant movie screen, a kid’s pool with a multi-level play area, dining options and private cabana rentals. 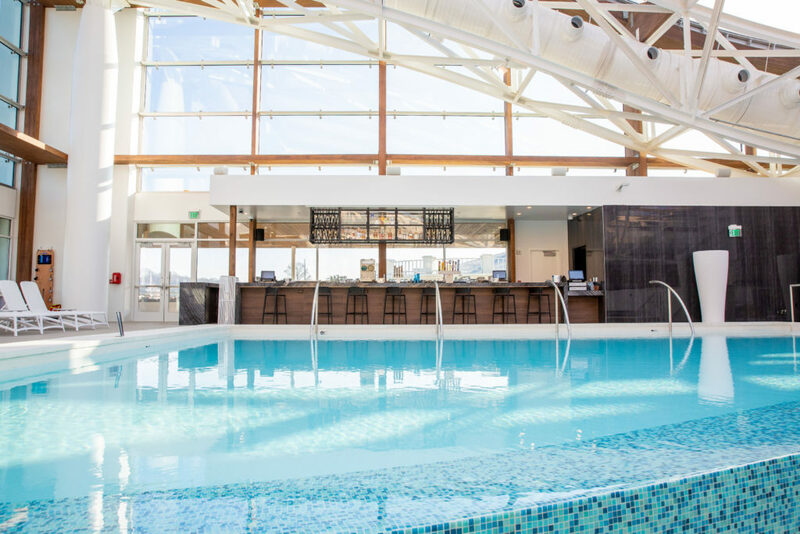 Three party rooms (for 10, 16 or 30 people) are available for rental and include all-day access to SoundWaves; providing a great experience for birthdays, reunions, graduations and bachelor/bachelorette parties and can be purchased without the overnight package. And there’s a state-of-the-art game room! Gaylord Opryland Resort & Convention Center is located at 2800 Opryland Drive in Nashville. For more information, visit www.GaylordOpryland.com. 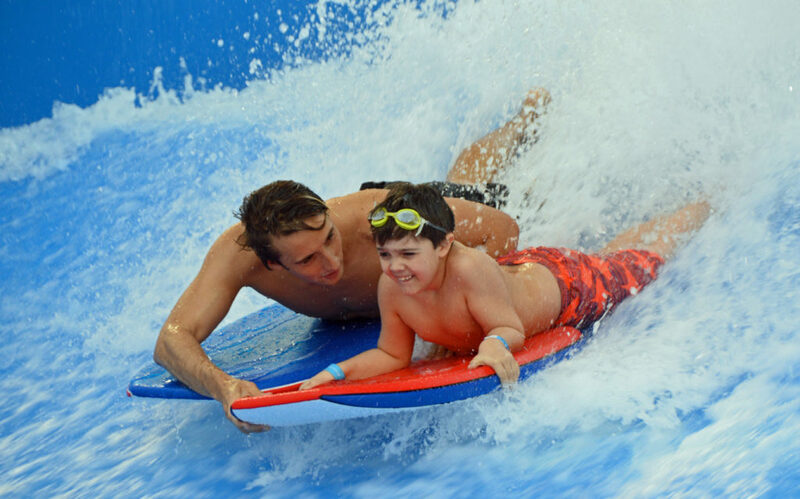 For more information about SoundWaves or to book packages, visit www.SoundWavesGO.com. 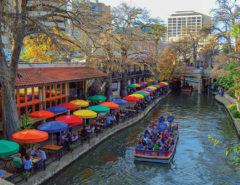 For more information on family travel, click here. I was a guest of Gaylord Opryland Resort and SoundWaves, but my opinion is all my own. As I was reading your post, I was imagining my grandchildren having souch fun in Soundwaves! What an aquarium treat for them! They would love it!! And so will you! This looks like so much fun. Our last visit to the Gaylord was before the addition of the waterpark. Now we have a reason to return. It just opened and is a fantastic addition to a beautiful resort. You’ll have a great time! As much as I love country music and I love to travel, I somehow have not yet made it to Nashville. Soundwaves looks like quite a surprise for the senses! You would love Nashville!! 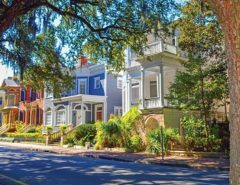 There is so much to do for country music fans. SoundWaves is icing on the cake!! I’ll let the family know. They will be glad you did!! Gaylord Opryland looks pretty amazing — something for everyone. I like the idea of the adults only restaurant and other areas of Soundwaves. I’m sure you had a great time there. What a fun time kids of all ages would have at Soundwaves. It’s one of the most deluxe waterparks I’ve seen.